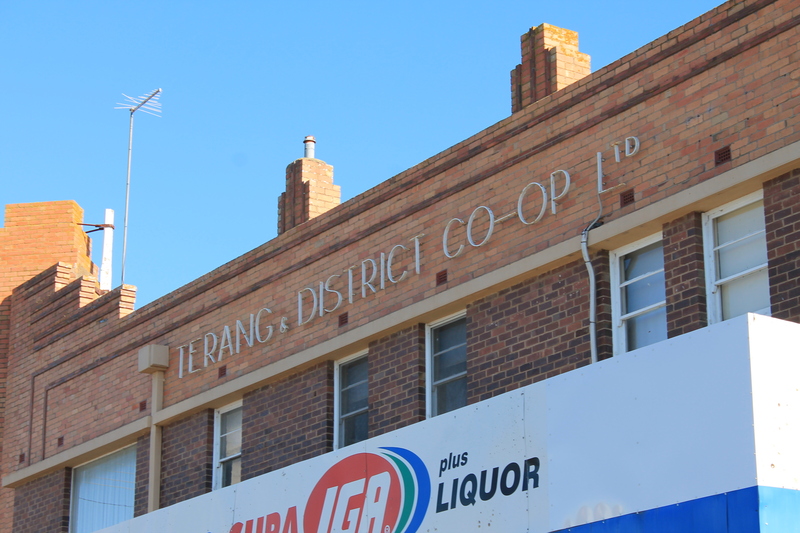 The Terang and District Co-operative Ltd has recorded a small profit in a difficult trading year while it has continued to give to its members and the local community. The Co-op’s annual report released today shows a small net profit of $9,900 from a turnover of more than $23 million. During the year, the Co-op distributed $57,062 to all areas of the community. Schools, hospitals, emergency services, sporting clubs and local events benefited from this support. Membership also continued to grow with 110 new members bringing the total 2,610. Members were rewarded with benefits amounting to $180,856. Chairman Brendan Kenna said the Co-op had grown sales against the previous year but costs had continued to climb. Mr Kenna said the Co-op’s rural services were still suffering from the severe downturn that hit the dairy industry. “Our business is reflecting their reduced circumstances,” he added. During the year the Co-op reduced stock levels by $434,000, around 9 per cent, which enabled it to reduce debt despite the small profit. Mr Kenna said this would help give the business a solid platform for the future. CEO Kevin Ford said a new strategic plan had been developed. “I envisage exciting times to come. Achieving substantial increases in sales, along with a commitment to an improved annual net return, are top priorities,” Mr Ford said. The Supa IGA Supermarket continues to lead the Co-op’s business activities, delivering sales in excess of $12million. “This confirms the strength of the Supa IGA business and exhibits value in the community by attracting good daily traffic flow to the town,” Mr Ford said. The business also attracts a steady flow of online shoppers. Mr Ford said that while the Co-op hadn’t performed to expectations over the past year, substantial progress had been made in a number of areas that placed it in a stronger position than at the start of the year. “We now have in place an overarching strategy providing the roadmap to the future and look forward to the opportunities that are available. We assure members that there will be further improvements across our trading businesses in this next financial year,” he said. Highlights of the year includes purchase of the DTS West business and rebranding dairy services as 360 Dairy Solutions. The CRT store was recognised as a CRT National Community Award Finalist, and infrastructure changes were made to the Camperdown and Terang HOME Hardware stores to improve access for customers. The Co-op’s financial year concludes at the end of February each year.